He’s a committed co-parent with his actress ex Naomi Watts, 50. 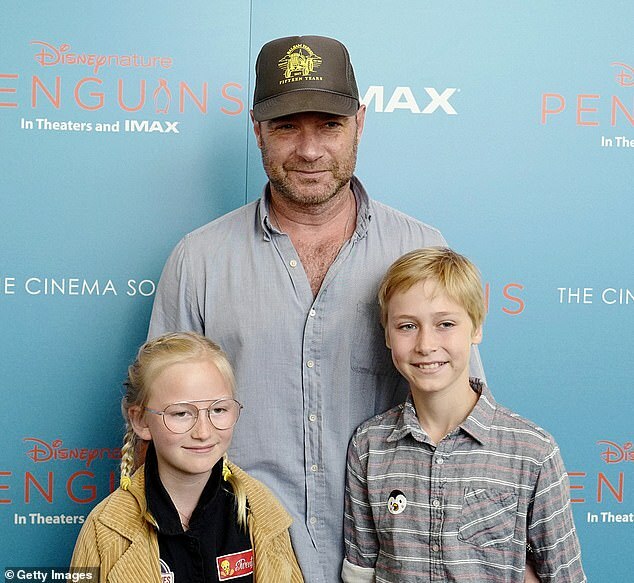 And Liev Schreiber enjoyed some quality time with his son Sasha, 11, and another relative at a screening of Disneynature’s Penguins at AMC Lincoln Square Theater in New York on Sunday. The actor, 51, appeared to be in good spirits as he hit the blue carpet with his family members. The X-Men Origins: Wolverine star dressed down for the occasion, sporting a black trucker hat, a blue shirt and tan trousers. 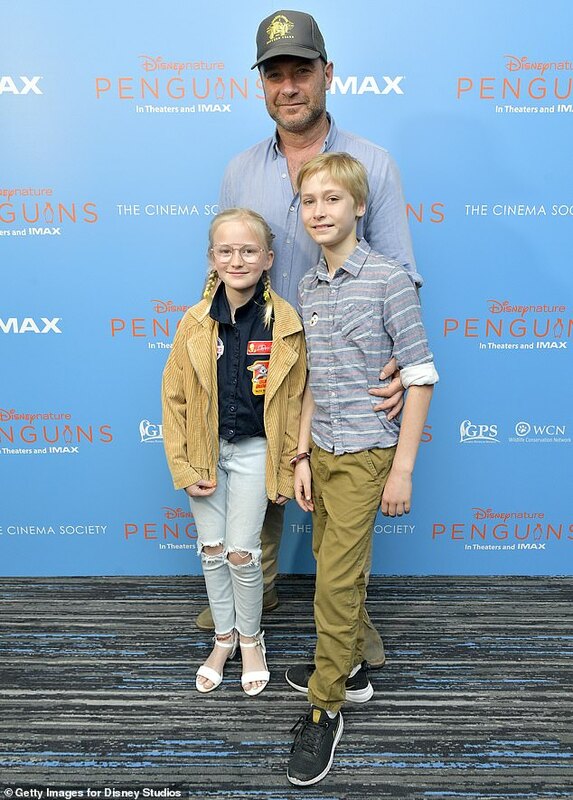 The family were all smiles as they posed for photographs at the event, which was attended by other stars including actor Josh Lucas. 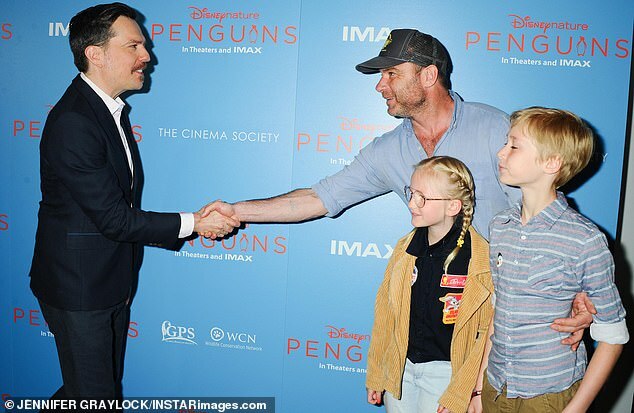 Liev was also seen greeting fellow screen stars Ed Helms and Beth Stern. 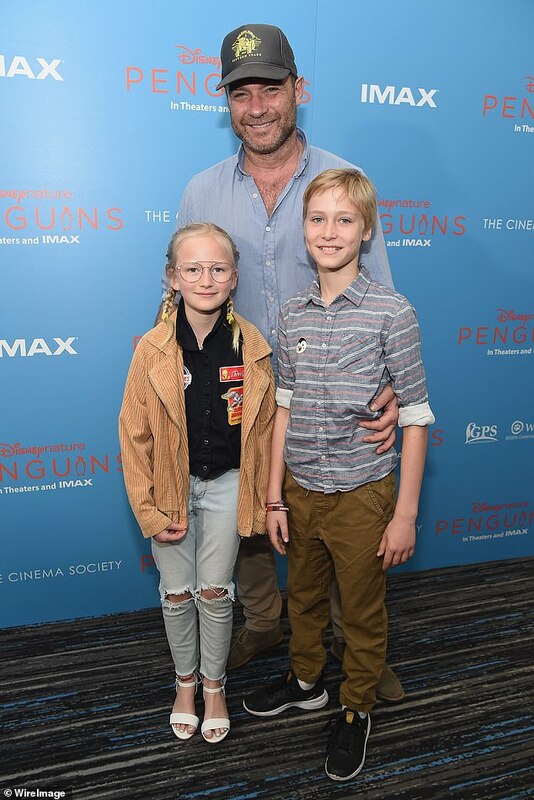 Nature documentary Penguins, is a coming-of-age tale about Steve, an Adélie penguin, who is on a mission to build a nest, find a partner and start a family. The film, produced by Disneynature, is set for release on April 17th – just in time for Earth Day. Liev split with Gypsy actress Naomi in 2016 after 11 years together. 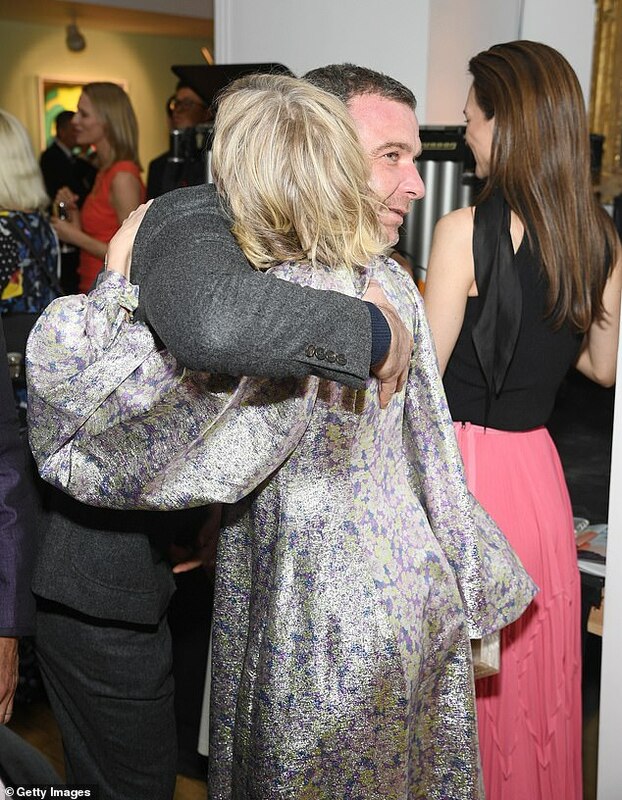 Despite the break-up, the pair proved they were still on great terms as they greeted each other with a friendly hug at the Tribeca Ball at the New York Academy of Art last week. Liev has been linked to beauty queen Taylor Neison, 26, since 2017. The actor been pictured hanging out with the former Miss South Dakota and his kids in New York several times. The duo looked like they were getting along swimmingly last February while spotted vacationing on the beaches of San Jose, Costa Rica with Liev’s sons. Naomi began dating actor Billy Cradup, 50, in June 2017.